THE TRANSFER window, thankfully, has passed and some of the bigger clubs have been ominously quiet. Tottenham and Manchester United, and to a certain degree, Chelsea, have not had a brilliant time. Chelsea’s activity in the market at the 11thhour, was out of necessity. 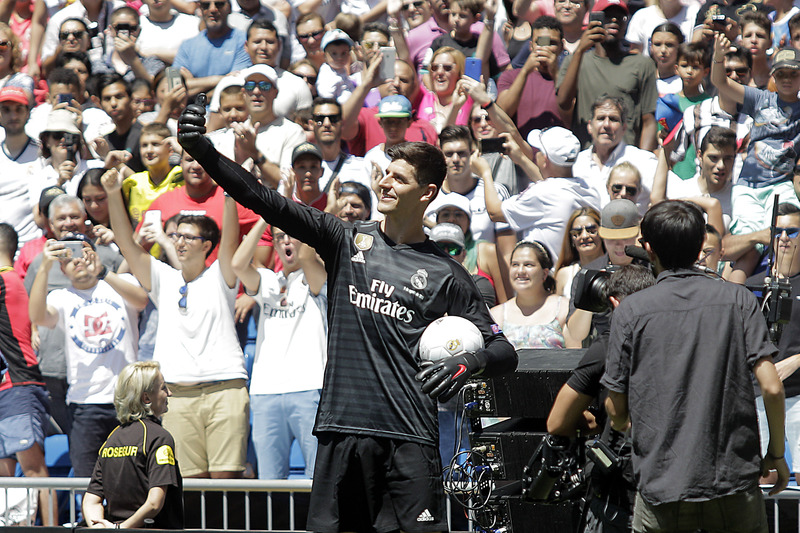 Thibaut Courtois was obviously going to leave and he had long targeted Real Madrid as the place he wanted to go. Receiving £ 31.5 million for a player of his quality was cheap business for the European champions, but then Chelsea had to spend big on a relatively unknown quantity – £ 72 million on Kepa Arrizabalaga was a brave move, but also reminded us that the club still has massive financial backing. But Chelsea’s other deadline acquisition, Mateo Kovačic, is a curious move. A one-year loan from Real Madrid, what value is that going to be to Chelsea, other than ingratiating themselves with Real? Perhaps it is a prelude to Eden Hazard moving to Spain at the next window, maybe it is just that Maurizio Sarri likes the look of the Croatian? Was Kovacič on the shopping list? Should a club of Chelsea’s size be taking players on loan from Real Madrid, who are, essentially, one of their peers? And does it say something about Chelsea’s current financial standing and the Abramovich saga? Lots of questions, especially as one thing Chelsea have is midfielders. It doesn’t bode well for players like Danny Drinkwater or Ruben Loftus-Cheek. Manchester United looked to have been a pawn in getting a player improved terms at his club, rather like Wayne Rooney made noises about leaving when he was at Old Trafford, only to stay and secure a better contract. As the clock almost struck 5pm, Diego Godin, the excellent Atlético Madrid central defender, was supposedly available at a reasonable price – so said his agent. But talks evaporated and Godin was offered an enhanced deal by his employer. The mood at United seems to be very downbeat and with José Mourinho in year three of the cycle, you have to wonder what comes next. In the past, this has usually meant CVs have been updated, but Mourinho always wanted the job he’s got, so what would come next. Perhaps this is why the United purse has remained closed? Perhaps the upper deck at Old Trafford are being prudent for a reason, the past is being used as a guide to the future. As for Tottenham, they’ve got a new stadium on the horizon and for the foreseeable future their priorities may change. They’ve got a good squad so it should be enough to keep them in a holding position for a while. Spurs need a trophy with these players soon otherwise they might look elsewhere for success. It is arguable, of course, that the teams that bus-in a load of new players do so because they need to – West Ham United and Everton being cases in point. Promoted sides – Fulham have had an outstanding summer of acquisition – also need to strengthen in order to survive in the Premier League. Manchester City, already full to the brim with quality, have “only” spent £ 63 million with most of that going on Riyad Mahrez of Leicester City, which adds another dimension to their all-star squad. Will he get a game? Arsenal, meanwhile, have ushered in a new era with a series of modest signings amounting to £ 67 million. There’s no headline-makes among the nine players brought to the club, but they already have two excellent forwards (if they get them to gel) from the last days of Arsène Wenger. Sometimes, clubs give the impression they are signing because they can or just to keep people quiet or even just to get some bodies in. When a club signs 10 new faces in the space of a couple of weeks, what does it say about how they value their own youth scheme? It must be quite dispiriting for a young player to see yet another taxi arrive at the training ground and another signing, all headphones and baseball cap, leaps out with his entourage. The bottom line is that transfer windows have become part of the culture of the modern game – the economy of the industry almost relies on these circuses to keep transfer prices high and make intermediaries wealthier. How long can that go on? Previous Entry Football Read Review: The Beautiful Game? Next Entry River-Cottage-Football: Sticking £ 100 million where?